Announcement Welcome to Jeanniesbeads on Etsy. Please see my website for a selection of my finished jewelry. 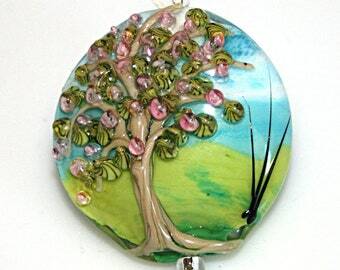 Www.jeannieslampworkbeads.com. Welcome to Jeanniesbeads on Etsy. 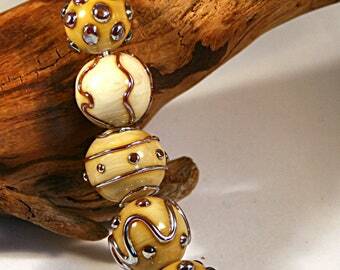 Please see my website for a selection of my finished jewelry. 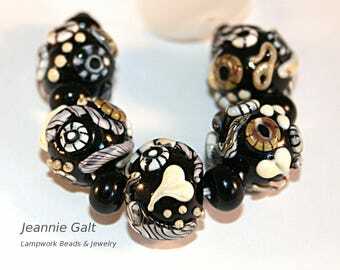 Www.jeannieslampworkbeads.com. Absolutely gorgeous!!!! Made a beautiful crocheted/quilted Afghan and this amazing button steals the show! Love ur work and can’t wait to get many more buttons! Welcome to my Etsy Shop. Here, I am pleased to offer my beads for sale. Everything I list is made by me in my home studio, in Amherstburg, Ontario. I use Effetre, Vetrofond, CiM and ASK glass. 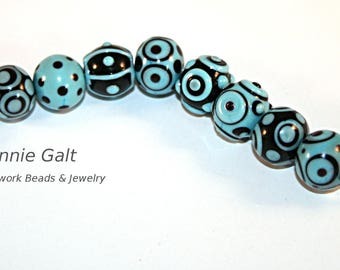 All beads are kiln annealed for strength and durability. Please keep in mind that they are glass, and need to be treated with care. I want you to be totally happy with your purchase – Customer satisfaction is my top priority. Please notify my immediately upon receiving your beads if there is a problem, and I will gladly refund your money or replace/exchange your beads. I try to ship daily - Monday through Friday. Your beads are wrapped in a protective envelope and shipped to the address shown in Paypal. Note that my beads ship standard with Canada Post. Should you like to upgrade your shipping, please convo me.